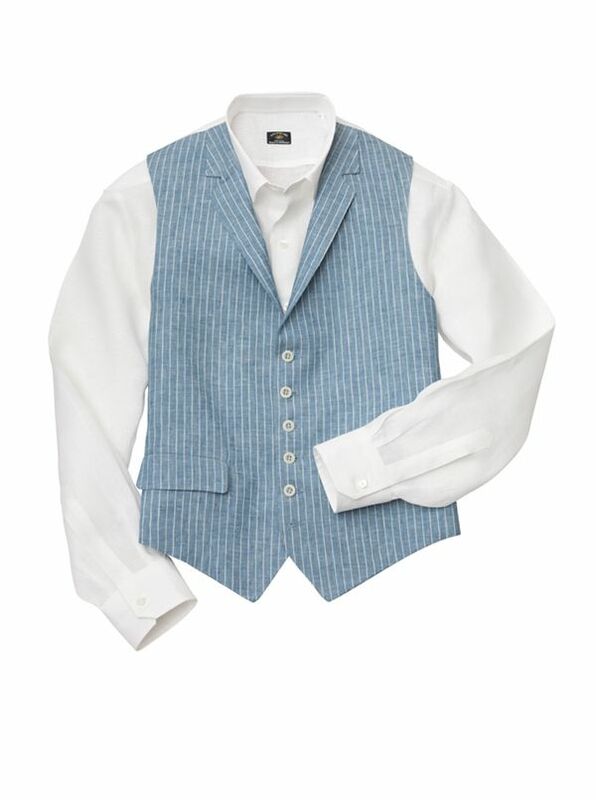 Saratoga Linen Vest is a smart accent for everything from blazers to blue jeans. Tailored in America of 100% linen pinstripes with white cotton back. With lapels, two lower flap pockets, belted back.